Customizable Ar15 Uppers, Parts, & More! Welcome! Browse our site for awesome Ar15 Deals! Custom design your AR-15 Upper. MILLIONS of configurations! Current average ship time: 1-3 business days. We build our uppers here in Clinton, MS, USA! $6.99-$9.99 Shipping for entire order! 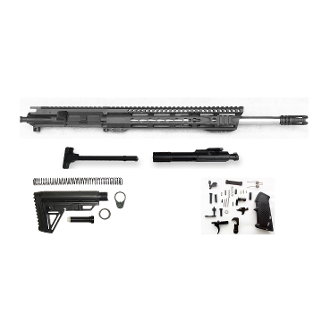 16" Free Float Rifle Build Kit - Everything you need except the stripped lower receiver. blems may have minor blemishes on some pieces that don't hinder function. Copyright © 2018-2019 Mid State Firearms. All rights reserved.